As we hurtle forward into the digital, connected future, ever-more objects are becoming targets for hackers and malicious software. Where once hacks only affected computers, they now bring down everything from cars to power grids, thermostats to secretive nuclear enrichment programs. So how long until a hack doesn’t just cause a nuisance or monetary losses but actually kills someone? “It could have happened already, but we don’t know. Stuxnet could already have killed people,” Mikko Hypponen, chief research officer for F-Secure told Business Insider, referring to the sophisticated computer worm that targeted Iranian nuclear facilities that most people believe was developed by the American and Israeli intelligence services. Hypponen is a highly regarded security expert who has been working in the field since the nineties. He’s a regular public speaker on the subject, once tracked down the authors of the first ever computer virus, and has been profiled by Vanity Fair. Like Stuxnet, nation-state-sponsored hackers are suspected, with investigators pointing pointing fingers at a Russia-based team. 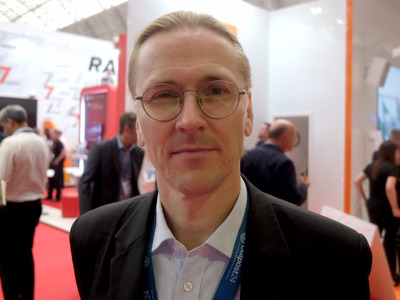 Rob Price/Business InsiderMikko Hypponen spoke to Business Insider at the InfoSec Europe security conference. While the connected world gives ever-more opportunities for harmful or even fatal hacking, Hypponen doesn’t think ordinary hackers are suddenly going to turn into murderers. Because why would they? …but they’re not the only ones out there. Don’t breathe easy just yet. Stuxnet and the Ukranian power grid show there are hackers out there with the capability out there today to cause fatalities, even if just as collateral damage. There will certainly be more attacks like them. Whoever the hacker and whatever the reason, deliberately or accidentally, it’s going to happen, Mikko Hypponen says — within a decade.